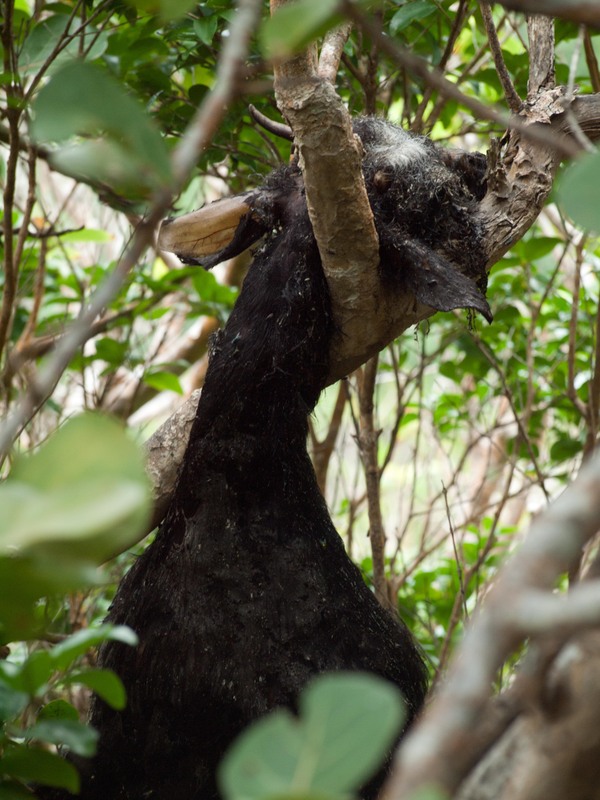 Hell’s Gate, Saba – You never know what you’ll see when you hike one of Saba’s many trails, but seeing a dead goat hanging in a tree is one thing I thought I’d never witness. My first hike of 2016 was surely one to remember. 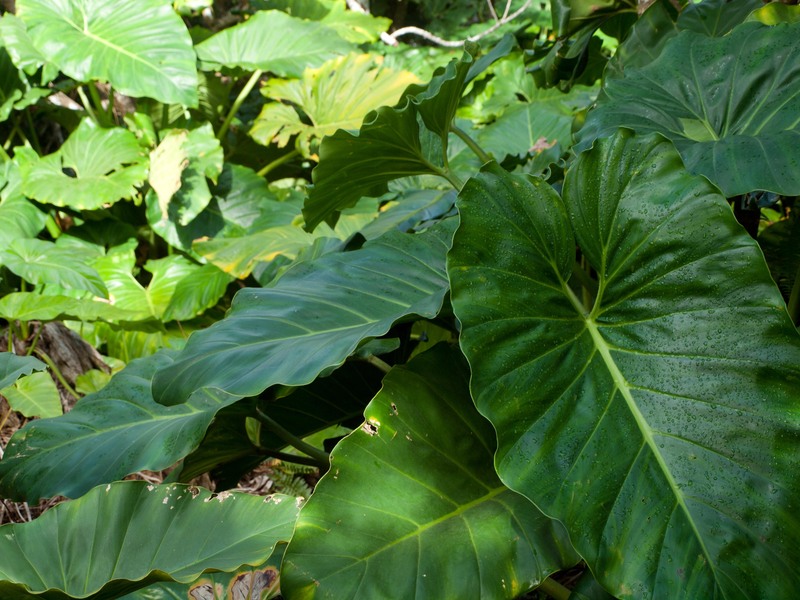 The uphill hike, which begins in the dry jungle and slowly transitions to rain forest, was not too difficult, but usage of hands is required or recommended on some parts of the hike. The highlight of the two-hour hike was the dead goat Selma and I saw hanging limp in a tree just off the beaten path. It hadn’t full decomposed, and my guess is that it will hang there until it does. Before we saw — and smelled — the goat, we crossed paths with a snake. However, fear not. 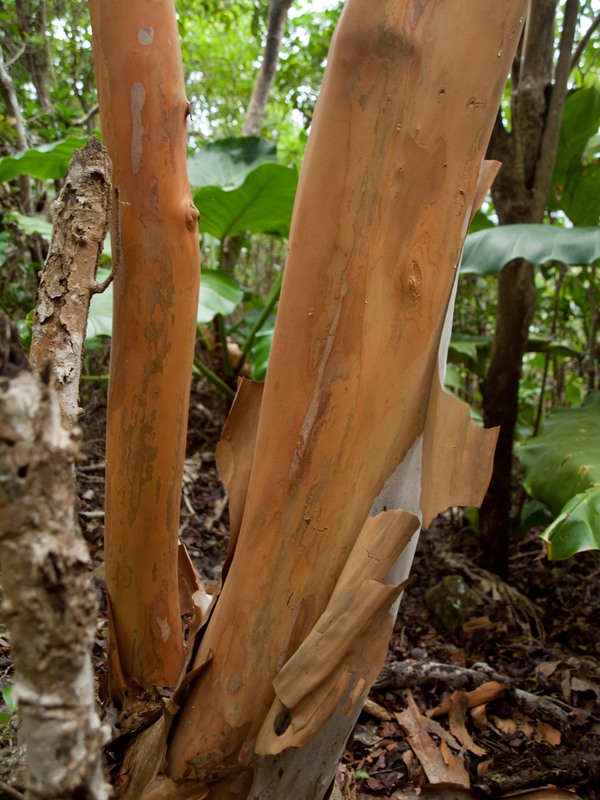 No snakes on Saba are poisonous, with the red-bellied racer being a harmless species. What’s the strangest thing you’ve seen on a hike? I don’t remember seeing anything this crazy on a hike, but one night hike I did, the birds were following me, cawwing like they were giving away my position to mountain lions, lol. Great blog! Check out my adventures of you like! Now that’s a little nerve-racking. The worst part about this hike was the smell. No causes for concern like a mountain lion where I live. Haha. Yeah, it was weird. But a dead goat just seems like a bad omen. Thanks for following!